Good spotting though. You should have some more pictures. Ahh I remember now. They're called Go now. 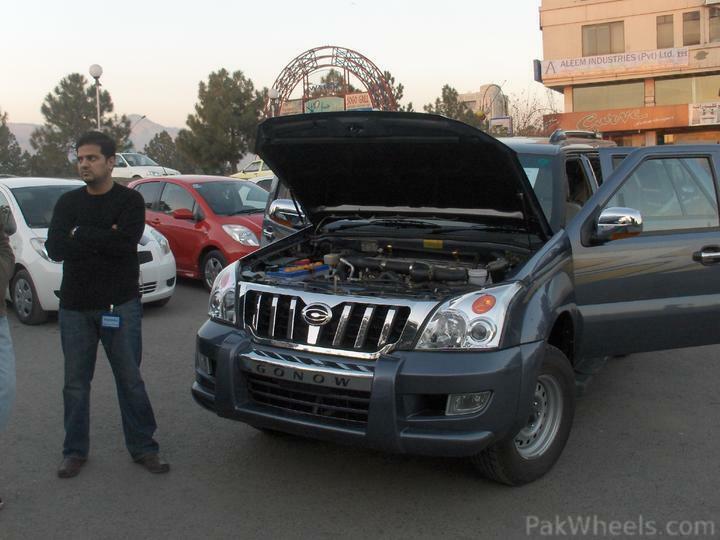 its fake prado .hats of to some pandoos . The place seems to be IJP road just near Faizabad. The replica Prado you are talking about is called Go-now. Attaching picture of Gonow with Hash4u. Saw the same type of kati hoyee prado in Peshawar in white colour. Back was the same and front se the windshield was bent towards the hood (i.e parallel to the hood) as in 4 x 4 Jeeps. i have seen this car in taxila.ill make sure whenever i see this thing again i stop him and ask the tale behind that. Pandooo's did great job on this baby looks good , Got any front pictures ? This Mazda once belonged to @Fahad_911 in Sialkot.